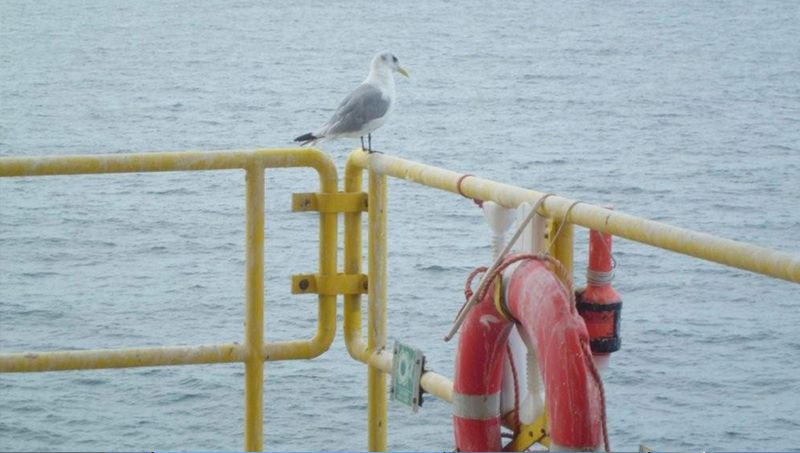 Offshore installations provide birds with a perfect landing spot. However, their presence is a globally recognized problem because, if left undisturbed, guano build up can reduce the safety of helidecks. 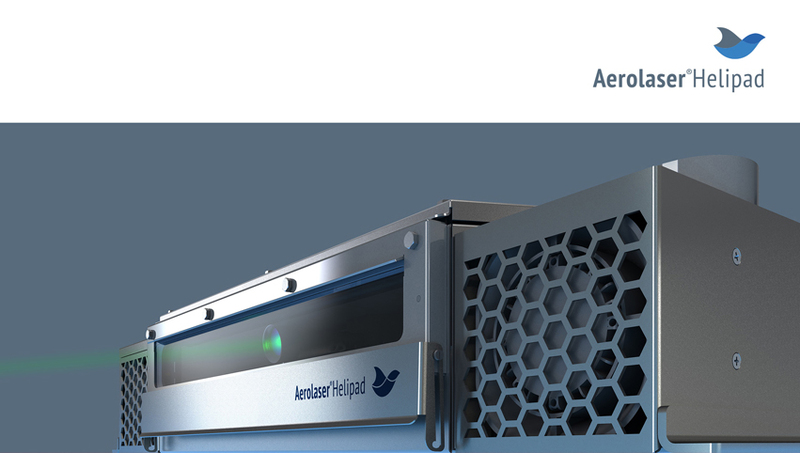 To address this, Bird Control Group, CHC Helicopter and Total E&P Nederland (a subsidiary of the French energy company Total) collaborated to develop and install an automated laser and sound system to repel birds in an animal friendly manner. 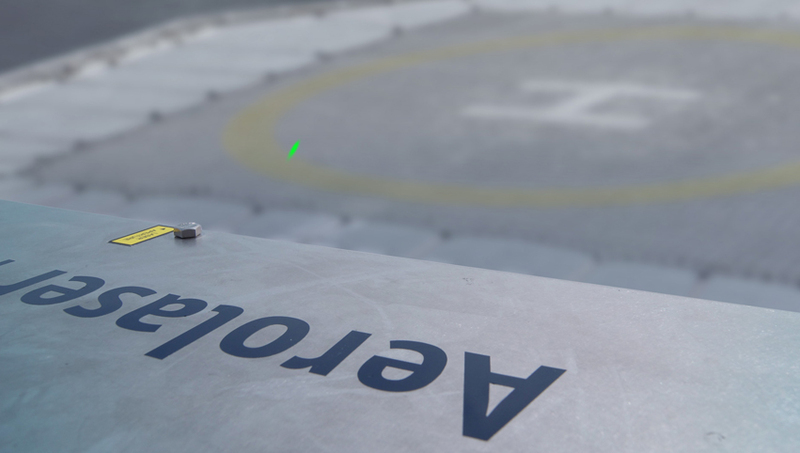 The Aerolaser Helipad is an automated device that combines laser and sound to keep birds at distance from helidecks. The system can be configured to the specific conditions of an installation and has minimal impact on the environment. Steinar Henskes, CEO of Bird Control Group, says that Total E&P Nederland shared its extensive offshore knowledge and gave financial support to his company to develop the system. “By implementing this bird repelling system, Total is the first oil company in the world to integrate its offshore activities with nature in such a sustainable way”, said Mr. Henskes. The technology used for this device to repel birds has the support of the World Wildlife Fund. Total E&P Nederland chose to partner with Bird Control Group due to the group’s broad experience in bird control across the aviation sector and at industrial sites. “We are always looking to improve safety across our operations. 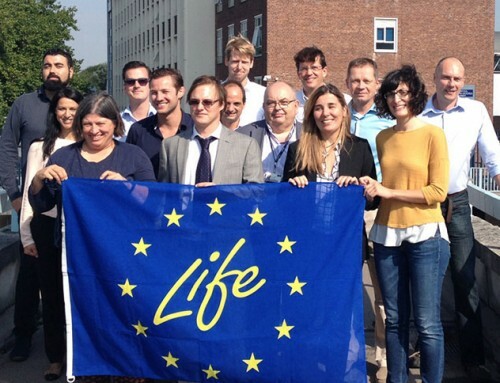 We are proud to be the first company to install the device and we are confident it will help to improve health and safety on our platforms,” said Yvonne Hoddenbach, Manager PR & Communications of Total E&P Nederland. Total is working with Bird Control Group to install the bird scaring system at three other locations. “The UK CAP437 and ICAO regulations mandate a clear visibility of navigation marks and lights. Guano can obscure these markings”, said Jack van Sligter, Helideck Inspector at CHC Helicopter. 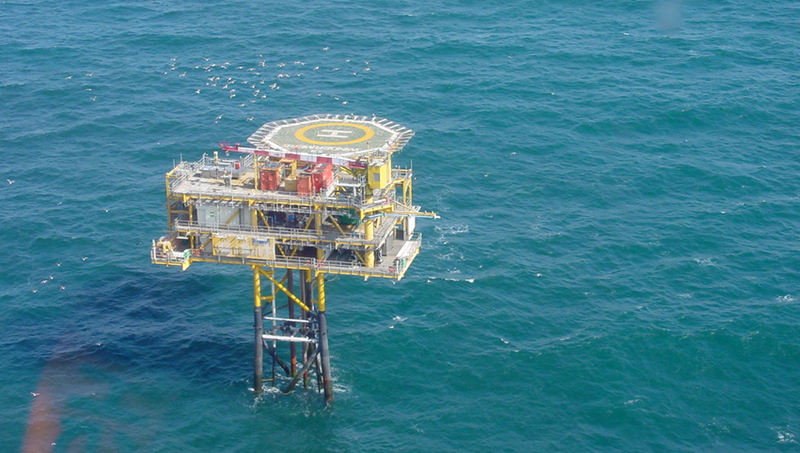 According to the report “Bird guano accumulations and their effect on offshore helicopter operations” by the UK Civil Aviation Authority, all UK operators experience problems with birds on offshore sites. There have been cases of as much as 90 percent coverage of an installation by guano. 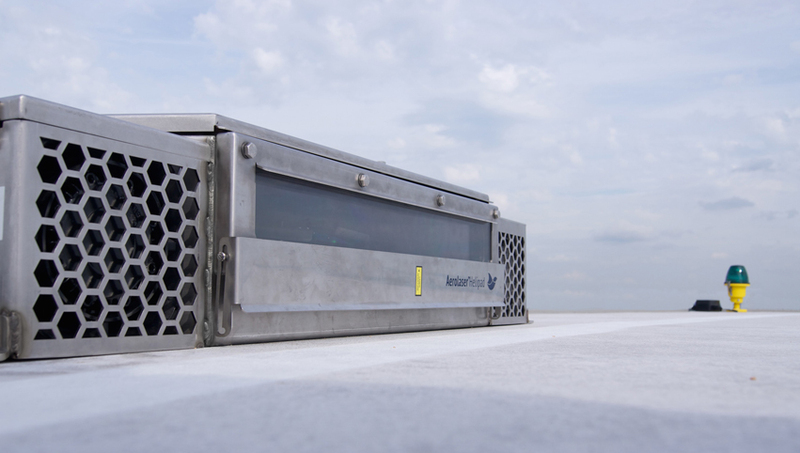 The annual cost of cleaning a helideck of guano can amount to 100,000 Euros per platform. Total E&P Nederland is a major gas producer in the Netherlands, with an annual production of approximately 4 billion cubic metres, or around 10 percent of Dutch domestic consumption. The company has been engaged in the exploration and production of natural gas onshore in the Netherlands and offshore in the Dutch sector of the North Sea since 1964 and currently produces gas from 22 offshore platforms and 4 subsea production installations. As a subsidiary of Total S.A., one of the world’s largest integrated energy businesses, Total E&P Nederland has access to the latest expertise and innovations in gas production and exploration technologies. 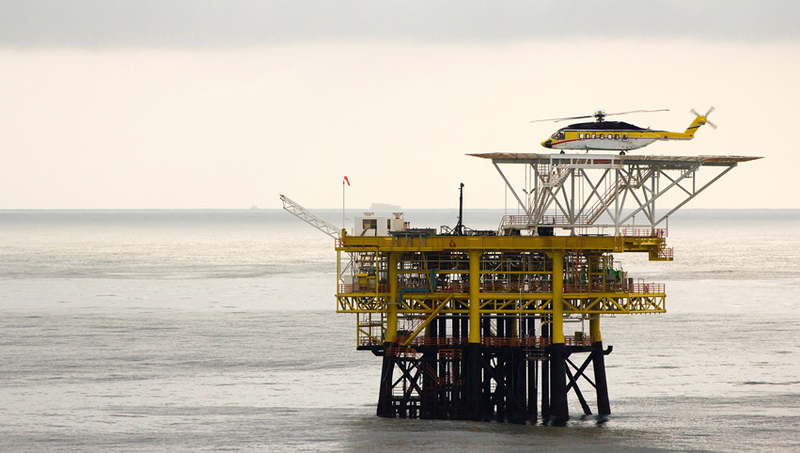 Total E&P Nederland continuously invests in its offshore assets and in its people to ensure an outstanding track record in safety and respect for the environment. CHC Helicopter is a leader in enabling customers to go further, do more and come home safely, oil and gas companies, government search-and-rescue agencies and organizations requiring helicopter maintenance, repair and overhaul services through the Heli-One segment. CHC is headquartered in Vancouver, British Columbia, Canada, and operates about 230 aircraft in approximately 30 countries around the world. CHC Helicopters parent company is CHC Group (NYSE: HELI). In a world with increasing demands for food, energy and mobility, effective and long lasting bird control is crucial. Bird Control Group provides innovative products to keep birds at a distance, ensuring a safer working environment and a highly effective way of damage prevention. The World Wildlife Fund recognizes the laser technology of Bird Control Group as innovative, effective and animal friendly. Bird Control Group serves customers in aviation, agriculture, industry, oil & gas, recreation and real estate. 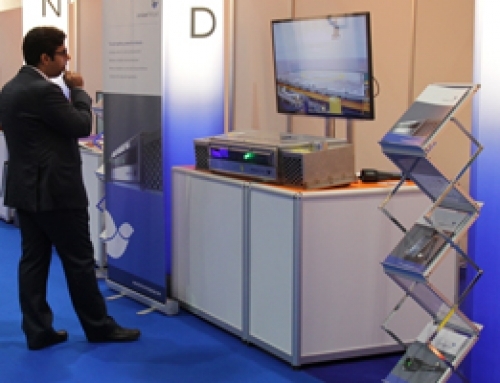 Customers include Total E&P Nederland, Shell, Amsterdam Schiphol Airport and Rentokil. Bird Control Group operates in more than 70 countries worldwide. Bird Control Group is a Deloitte Technology Fast50 Rising Star and the second most innovative company in the Netherlands according to the Dutch Chamber of Commerce.